4 things you'll need to get started. Is starting a worm farm quite simple? The first thing you should get when you want to run a worm farm is worm bedding. It is an essential part for each worm bin. It is the place where your worms live and that they can retreat to in case of the environmental conditions in the foodlevel are becoming uncomfortable or even life threatening. 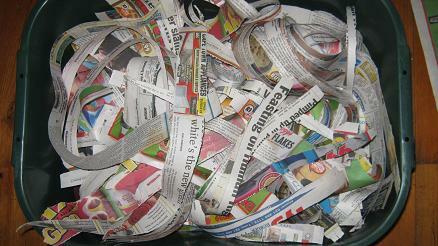 You can make simple and low cost worm bedding out of shredded old cardboard boxes or old newspapers. But stay away from colorful, shiny paper or white copy paper. To prepare the bedding simply tear the cardboard boxes or newspaper into thin strips (or if available sent them through a paper shredder) and soak for 6 to 12 hours in water. The water should ideally be free of chlorine. If you only have access to tap water let it stand for a day in an open bucket and much of the chlorine should evaporate. Let the excess water drain off and add it to your worm bin. You should get enough bedding to fill up your worm bin with at least 10cm / 4 inches of material. Before you add it to your bin let the excess water drain off. Worm bin bedding must always be moist but it shouldn’t be soggy. Torn newspaper makes good worm bin bedding. There is one basic rule when it comes to worm food. Worms eat anything that has ever been alive and is now dead! If you just want to recycle waste that is produced in your household you can just rely on your kitchen scraps and perhaps your garden waste. Worms don’t eat fresh products and only start to consume organic matter when it starts to rot. If you intend to create some extra income with your worm farming project or want to turn it into a fully fledged business you will have to find a good food source for your worms. Ideally it should come in unlimited supply and it should be easy to work with. 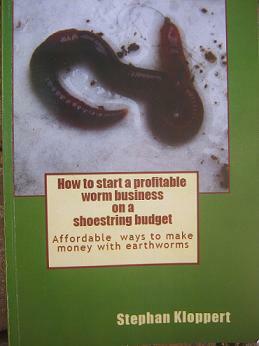 If you want to find out more about raising and feeding worms for profit contact me about my book “Starting a worm business on a shoestring budget”. 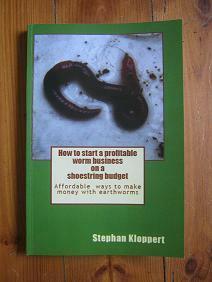 In this book I cover everything you will need to know to earn an income from your worm composting project. It is actually not that difficult at all and the profit margins are excellent. 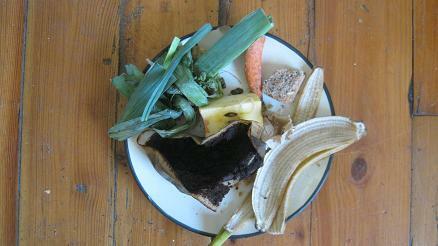 Many kitchen scraps make good worm food. Worm bins are containers that make sure that your worms will have a comfortable home to live in once they arrive on your premises. They are the next thing you will need when starting a worm farm. set up as a worm bin. Have a look around the house or ask family and friends for some containers that you like and can store on your premises. to work with stack able bins, Setting up and maintaining a worm bin that is stack able will will save you time and space in the future. 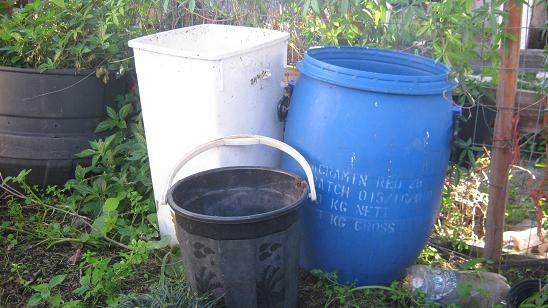 The final thing you will need for starting a worm farm are obviously..
Old bins or buckets can with a little work be turned into worm farms. There are literally thousands of different kinds of Earthworms but only very few are commercially usable. The kind of earthworms we are working with is known by many different names, depending on the country you are living in. 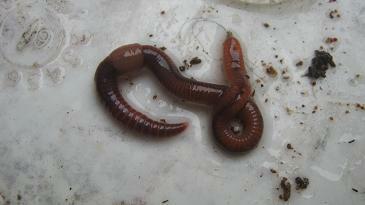 “Tiger worms, Red worms, Red Wigglers or Composting worms are just some of the names they go by. In order to identify them correctly we have to call them by their scientific name which is the same all over the world. 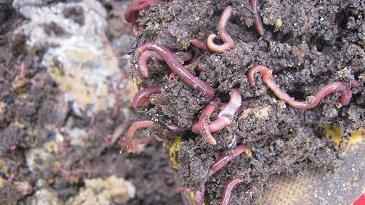 Compost worms feeding on organic material. 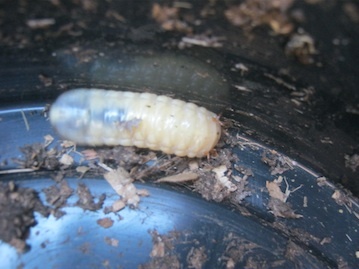 They are the most commonly used compost worms by people that are starting a worm farm. Eisenia Fetida worms are dark red, can eat about half their body weight per day in captivity, are hardy and best of all are prolific breeders. When you are starting a worm farm you should get at least 500 Red wigglers to get going! Search in our worm business directory for an earthworm breeder in your hometown or country and place your order. Many earthworm suppliers post or courier their worms. If you do have a compost heap in your backyard you can probably get your starter batch of worms for free. 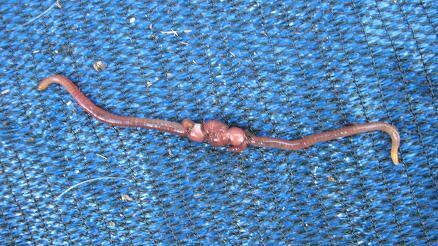 If you find compost worms there they are most probably Eisenia Fetida. 3. Add worm food on top of the bedding. 4. Cover with a sheet of plastic and a lid. All done? Congratulations and welcome to the worm farming community! If you have any questions you can post them in the form below and we will answer them asap! 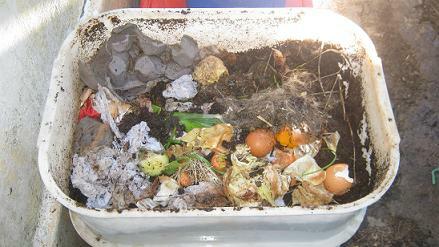 Return from "starting a worm farm" to the "Home Page"
10 good reasons to start worm composting!